We’d love your help. Let us know what’s wrong with this preview of The Hermeneutics of Sacred Architecture by Lindsay Jones. The two volumes of this investigation into how we perceive sacred architecture propose an original interpretation of built environments as ritual-architectural events. 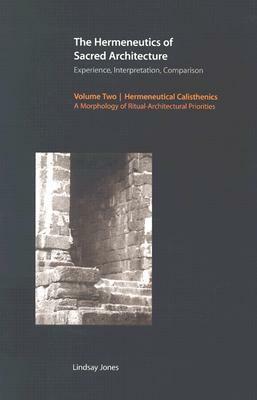 Exploring the world's cultures and religious traditions, Volume One maps out patterned responses to sacred architecture according to the human experience, mechanism, interpretation, and comparison of architec The two volumes of this investigation into how we perceive sacred architecture propose an original interpretation of built environments as ritual-architectural events. To ask other readers questions about The Hermeneutics of Sacred Architecture, please sign up.